Our commitment to provide the highest level of service to our clients begins at the top with the HRG leadership team. Dedicated professionals with an expansive range of healthcare and finance experience and achievements. The Healthcare Resource Group (HRG) leadership team are passionate about their company, employee-owners and the revenue cycle management services they provide. They are continuously optimizing their own methods and best practices to ensure they are always providing their clients with the absolute, best revenue services possible in today's healthcare industry. Good enough is never good enough for the HRG leadership team when outstanding excellence can be achieved. Steve leads the executive team of HRG. He joined the company in 2003 and has guided the company through significant growth. Steve has over 30 years of healthcare revenue cycle experience in a variety of executive positions. He began his career by leading a development team that created one of the healthcare industry’s first back office automation tools. He has filled various executive positions in seven different companies providing revenue cycle products and services to hospitals and large clinics. His scope of experience includes management of hospital business offices (standalone and CBOs), physician billing offices, collections agencies, Medicaid eligibility services, lost charge recovery, managed care underpayments, defense audits, charge description master maintenance, call center (inbound and outbound) and admitting and financial counseling. Additionally, he has developed or implemented technology for patient accounting, billing and collections, credit checks, eligibility, claims submission and status, CDM, autodialers, contract modeling and payment calculations, work flow automation and document imaging. Steve graduated from the US Air Force Academy with a bachelor degree in Computer Science and holds certifications in information technology as well as patient accounting. He lives with his wife in Seattle. Kris oversees the management of HRG's corporate operations. Her responsibilities include overall administration of the company financial, legal, and human resources functions. Kris is also HRG’s Compliance Officer. Kris started with HRG in 2000 as Company Controller. Prior to joining HRG, Kris worked as a CPA for BDO USA. She also has experience working with a local CPA firm and working for county government. Kris has had her CPA license since 1994. In 2006 Kris became a Certified Patients Account Manager (CPAM) through the American Association of Healthcare Administrative Management (AAHAM) and in 2011 she obtained certification from the Healthcare Financial Management Association (HFMA) to become a Certified Healthcare Financial Professional (CHFP). Kris graduated from Eastern Washington University. She was born and raised in the Pacific Northwest and continues to call the area home. Kris enjoys the many activities life in the Pacific Northwest has to offer including hunting, fishing, hiking, playing golf, bike riding, and running. Greg started with HRG in 1999 as the Northwest Regional Manager. He returned to HRG in 2008 after a two-year absence in which he took a position as Director of Revenue Cycle at a large multi-specialty clinic in Eastern Washington. Greg has over 24 years of healthcare management experience and has experience working for clinics, hospitals, vendors, and insurance carriers. Greg’s expertise includes revenue cycle process improvement, payer contracting, patient collections, and team building. Greg is actively involved with HFMA, AAHAM, and MGMA and has served as a board member for both the Washington Chapter of HFMA and the Inland Empire Chapter of AAHAM. Greg graduated from Fresno State University. Greg spends his spare time riding motorcycles, playing basketball and volleyball, hunting, fishing, and traveling with his family. Carole is in charge of HRG’s coding services group, providing remote coding services to hospitals, clinics and physician practices across the country. Quality is Carole’s singular focus to provide compliant and accurate coding services to all HRG clients. Carole is certified in Healthcare Compliance (CHC) through Healthcare Compliance Association (HCCA) and is a Certified Coding Professional (CCS-P) through American Health Information Management Association (AHIMA). She is a member of several professional associations including HFMA, AHIMA, WSHIMA, AAPC and HCCA. Client care is the top priority for Jason. He oversees all operations of HRG’s OutPartnering™ Center located in Spokane Valley, Washington and is responsible for Central Business Office (CBO), Extended Business Office (EBO), self-pay and quality assurance services. He is focused on continuous improvement initiatives to ensure HRG remains the best choice for healthcare providers. Jason and his team provide outsourced revenue cycle services and support to hospitals and clinics throughout the country. 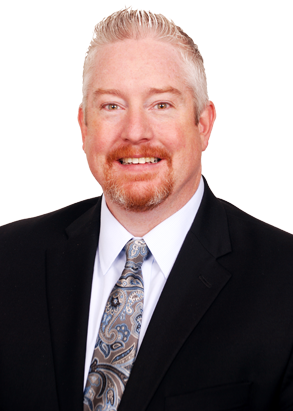 Prior to joining HRG in April 2013, Jason’s career included serving as a senior vice president for a large financial services organization for 15 years, operations manager for a large hospital system in Seattle, and two tours of duty in the United States Navy. Jason holds a Bachelor’s of Science in Accounting, is a Certified Revenue Cycle Executive (CRCE) and a Certified Healthcare Financial Professional (CHCP). He often presents at industry conferences as a member of both HFMA and AAHAM. He and his wife Jenna enjoy fishing, golfing and spectating at the extracurricular activities of their four children. John joined the HRG leadership team in March of 2018. Throughout his more than thirty years in healthcare revenue cycle services, John held leadership positions in organizations such as Conifer Health, MedAssets, Perot Systems, Cymetrix/Navigant, and McKesson, and was instrumental in cultivating innovative sales strategies and developing new divisions. His leadership helped companies organically jump-start revenue growth in relatively short periods. John’s involvement with both the technical solutions side of the healthcare industry and the revenue cycle management solutions side, is a powerful combination of experience for HRG. want to learn more about the hrg difference?